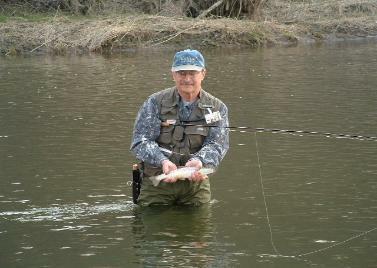 Join me on the beautiful Conhocton River for some enjoyable fly fishing. not stocked, allowing you to try your skill on wild, stream-bred brown trout. tier winters can push everything ahead into May! Every year is different. Give me call or email. I'll be honest about the current conditions. certainly bring your own. Also, bring your own flies or try some of mine. Call 607-776-4968 or email gregflies@verizon.net for availability.